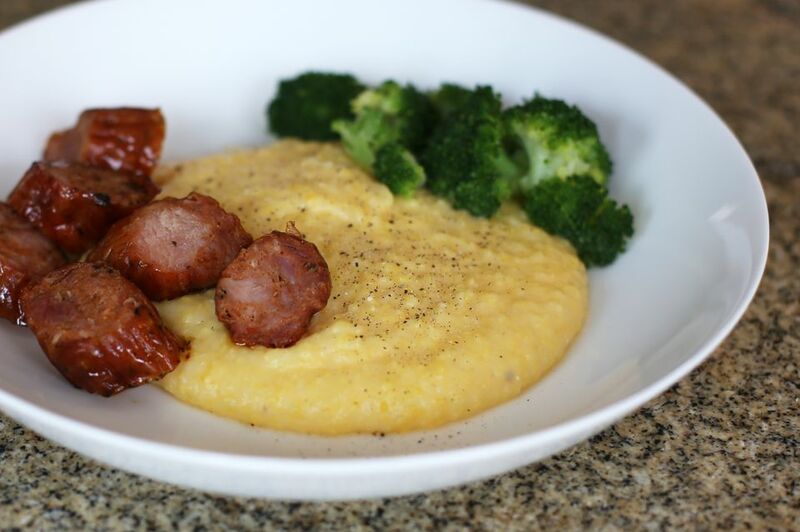 Did you know that polenta and grits essentially the same? Polenta and grits are both made from stone ground cornmeal, but they differ slightly in texture because of the different types of corn they're made from. Southern grits are made with dent corn and Italian polenta is usually made from flint corn. Dent corn, also known as field corn, has more soft starch content and gets its name from the dents in the kernels. ​ Flint corn is also known as Indian corn, and has a hard outer layer. It is often multi-colored, and has a low water content. The two grains differ slightly in texture, but flavors are nearly the same. Basically, polenta and grits are both medium to coarsely ground cornmeal and may be used interchangeably. Use grits, stone-ground cornmeal, or polenta in this easy recipe. Fry the chilled sliced polenta or grits in a little butter and serve it with a topping of red beans, creamed chicken or turkey, shrimp, or a red sauce. Try it with tomato gravy! Grease the inside of the crock pot with 1 tablespoon of the butter. Measure the remaining ingredients and add them to slow cooker with remaining butter. Cover and cook on low for 6 to 9 hours (3 to 4 hours on high), stirring occasionally. If desired, transfer the polenta or grits mixture to a greased loaf pan. Chill thoroughly then cut into 1/4-inch slices. Fry the slices in butter or bacon drippings until browned. Fried polenta or grits cakes make a tasty base for chicken a la king, creamy shrimp or seafood dishes, or a meaty stew or chili.